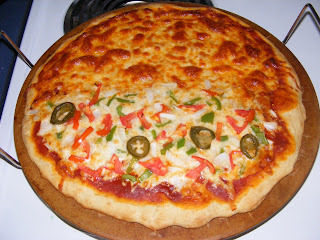 As I mentioned yesterday, I was thinking my farmer's market veggies would end up on a pizza. And they did! It was terrific. I didn't even miss the pepperoni.